and their appetite is voracious! 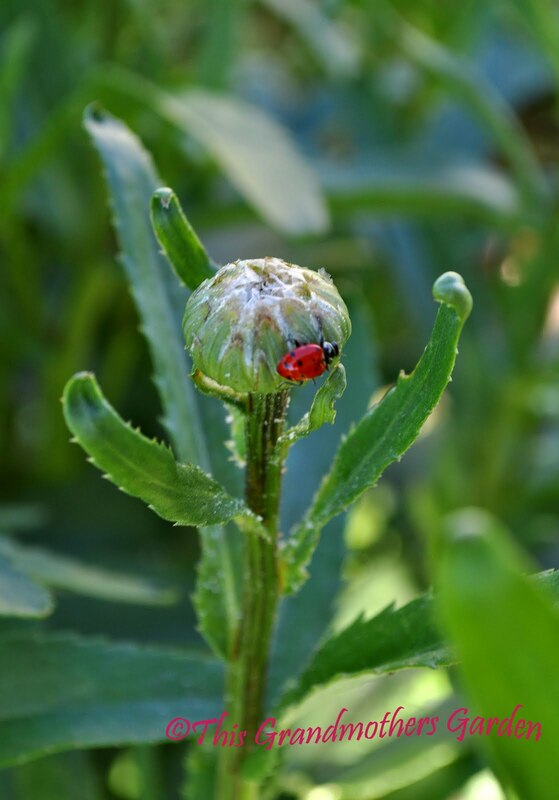 "Ladybugs lay hundreds of eggs in the colonies of aphids and other plant-eating pests. When they hatch, the Ladybug larvae immediately begin to feed. By the end of its three-to-six-week life, a ladybug may eat some 5,000 aphids." but we all love this little creature. originating all across the world. Did you know that your wish will be granted if a Ladybug lands on you? "blow it away" back home to make the wish come true. is thought to mean she will get married within the year. It has been said that if a Ladybug flies into your bedroom you will have Good Luck. 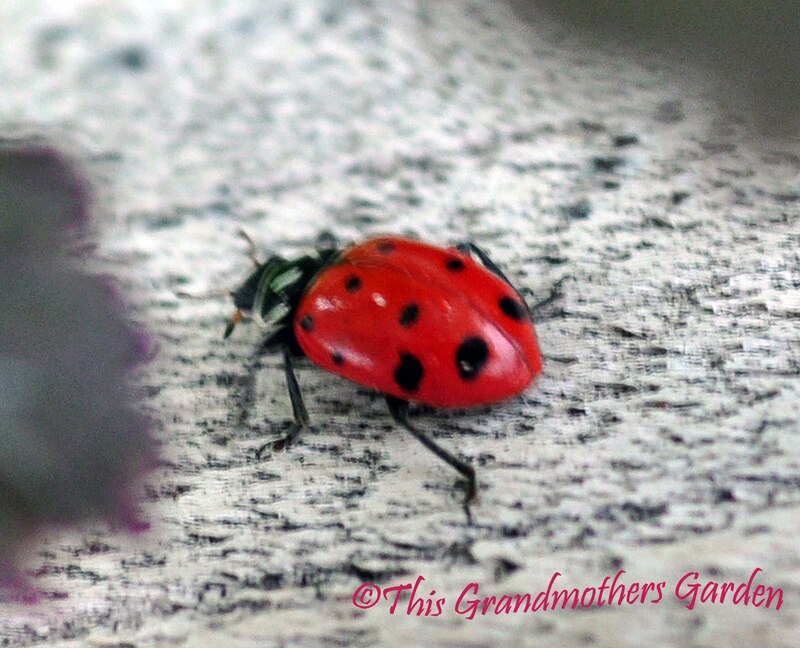 Some say that the number of spots on a ladybug indicated how old it is. "A Ladybug's bright color and distinctive spots make them unappealing to predators. Ladybug's can secrete a fluid from joints in their legs which gives them a foul taste. Their coloring is likely a reminder to any animals that have tried to eat their kind before: "I taste awful." 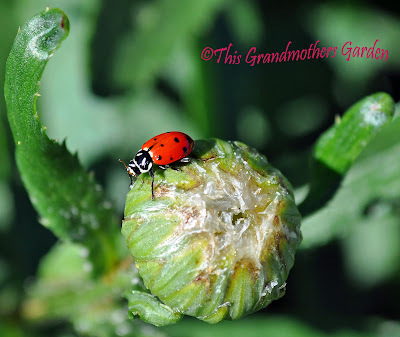 A threatened ladybug may both play dead and secrete the unappetizing substance to protect itself." 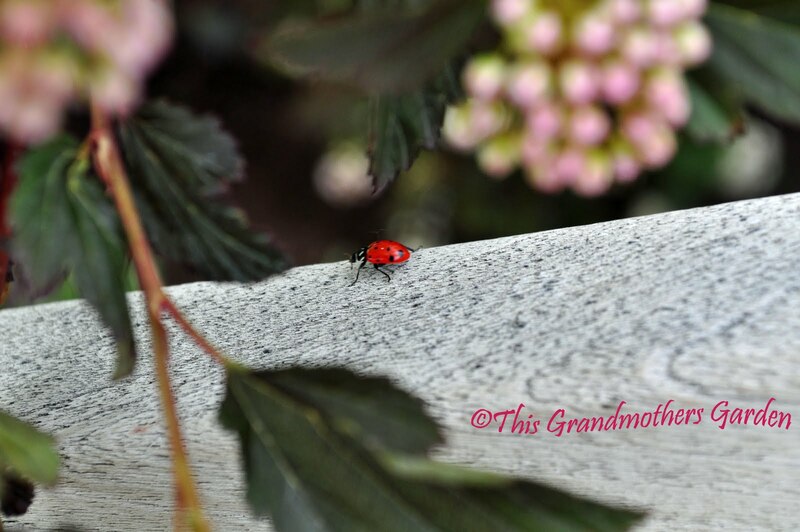 Ladybugs... ya gotta love 'em! Beautiful photos, Carolyn. I am fond of these critters, for their aphid-eating capabilities and their jewel-like beauty. I didn't know all those ladybug legends you found. I did know that if one lands on you, it's supposed to be good luck. Which always makes me think gardeners should be the luckiest folks around: they land on me often when I'm out there weeding. I love them, and when I come across a ladybut, I make sure that it gets special treatment. A plant infested with aphids, smorgesborg for my favorite insect. Next to dragonflys of course. 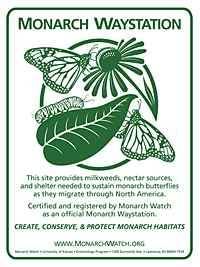 My roses were free from aphids this year because of these wonderful creatures! 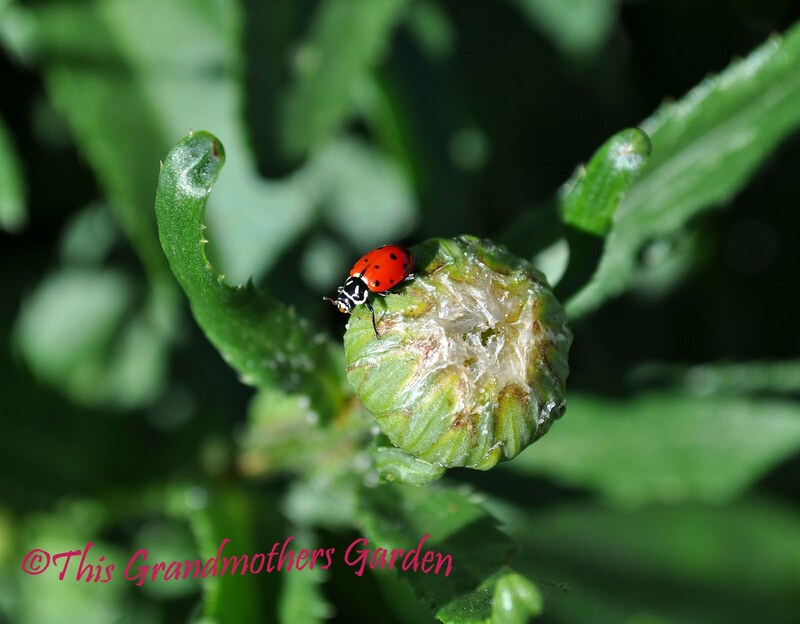 I so love to have a ladybug land on me while working in the garden. I think it is there to let me know it is working for me all the time. Dirt on Soil: I learned that there are many, many different varieties of Ladybugs. I'm so glad you enjoyed my post! Meredith: Ew! Your poor Auntie... had no idea they would swarm like that. I actually googled it to learn more. Perhaps there really is too much of a good thing. Such an enjoyable and informative post ... your photos are terrific. 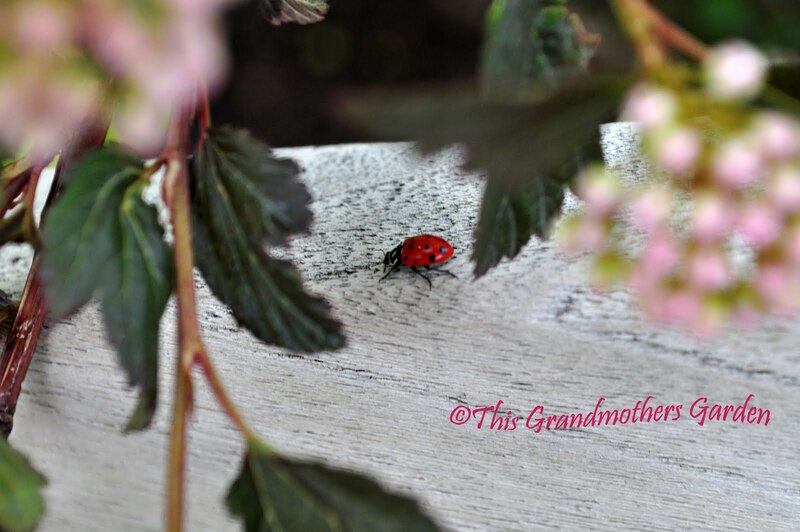 In my particular part of the world, we don't see all that many ladybugs ... or ladybirds, as we call them ... so when we do actually spot one, it's a cherished experience. Wonder post and pictures. I absolutely love your blog! 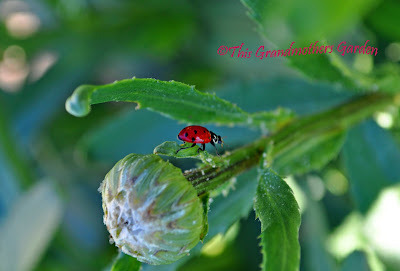 Wish the lady bugs wouldcome by my garden. Beautiful photographs shared beautifully through words. Bernie: we don't see many in my garden either so I feel the same way. Jackie: So glad you enjoy my blog. I'm heading on over to visit yours now. Mangocheeks: Thanks for your kind comment. 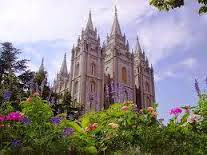 I'll be visiting you as well. 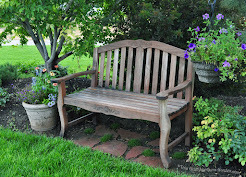 The best part of blogging is meeting so many wonderful gardeners! I like the ladybugs at work in the garden! The larval stage is actually more voracious than the adult. I'd like a few more of them to munch on the aphids on my asclepias! We say to the the Ladybug, "fly aways and ask to god, that we want a nice weather tomorrow". Loved the pictures and story. So cute. 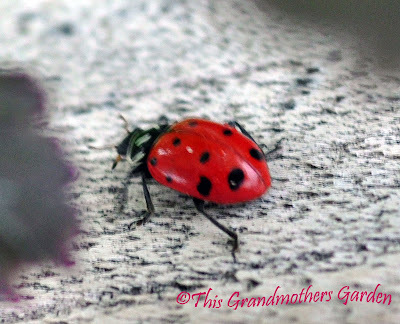 Have not seen many lady bugs here, may have to order some. Ha.